Cherwell District Council in North Oxfordshire has recently granted planning permission to the residents of Malvern Cottage in the village of Blackthorn, near Bicester. 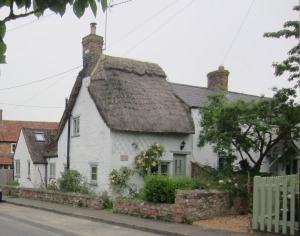 We have designed a scheme for this beautiful historic thatched cottage that includes a first floor extension, a rear extension and internal alterations. The objective is to create more space for the family, who are looking forward to having an extra bedroom, a larger kitchen and new utility room. We are moving swiftly on to the next stage which is to prepare drawings for construction, and also making contact with suitable builders to provide quotations, with a plan for the improvements to be completed by the end of this year. We were pleased to gain planning consent as the house does have specific challenges such as a thatched roof and unusual internal layout. Our approach was to translate the homeowner’s ideas for the property into a workable design scheme.